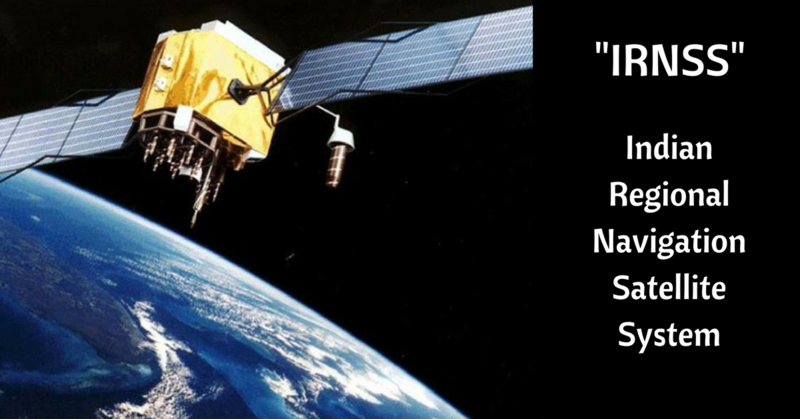 IRNSS stands for the Indian Regional Navigation Satellite System. IRNSS is set to hit the Indian markets in the year 2018. It is India’s own navigation system that will make sure that you don’t lose the way ever. Independent and totally self-reliant IRNSS will provide navigation services in the entire Indian region. IRNSS is designed and developed the ISRO and is slowly being integrated in all devices that require navigational services. The system utilizes seven spacecraft and a highly specialized network of ground systems. IRNSS will be able to cover about 1500 kilometres of the area covering the entire Indian region. Agriculture: IRNSS can help enhance the farmer output by analysing the weather, the type of soil etc. , concept which is called precision agriculture which is the norm for today’s changing environmental conditions. Security: Without the prying eyes of other and foreign GPS systems IRNSS the level of enhanced security with IRNSS will help track vehicles, criminals and even cattle. Disaster management: Rescue operations in case of any kinds of emergencies can be easily aided with the help of positions and tracking through IRNSS. Navigation: Especially for ships and airplanes. There will be less chances of piracy and locating ships in the Indian waters will be more precise and accurate. GPS tracking for Public transport: Management of the public transport system becomes easier with IRNSS. For example the user can just enter the destination he wants to go in the map application and his location will be traced by the GPS tracker in the smart phone and he will get all information about the route and the time it will take to reach it on is screen in a real time manner. Self-Driving Cars: Self driving cars need GPS as a must have. The inbuilt Indian GPS system will enable the local developers to have a better approach to the designing based on the road conditions and traffic habits of the people. Network and Security in vehicles: AIS140 emphasis on the security and the connectivity of the vehicles at all time. The testing agencies do multiple tests on various security features on the vehicles before giving them a ok report. The importance of security is accepted worldwide. The use of IRNSS in the vehicles will ensure that the networks are less prone the hacks thus reducing the possibility of digital attacks on the vehicles. Thus a more trusted and reliable environment will be created even as the traffic and use of vehicles grows. Fleet management: Fleet management means better routing and monitoring of the vehicle. This improves the vehicle health and even let the fleet managers keep a track of vehicle health. Fleet traffic by road is very vital to the national economics and therefore area coverage and network latency provided by IRNSS will ensure better fleet management because of quicker and accurate results of vehicle tracking. This tracker has a digital input that is helpful in acquiring the status of ignition on/off.vehicle tracker is a waterproof GPS tracker manufactured to meet the need of tracking moving objects.